Today Is National Letting Go of Stuff Day – Celebrate! Today, March 26, 2015, is the day for all of us – you, me, and everyone we know – to begin the process of letting go of stuff in our lives. National Letting Go of Stuff Day is a great day to begin the journey of change in your life. This is a day to identify what you want to change (let go) and improve about your life, make the claim to improve it, and create a plan to move forward. Next year, on this same day (fourth Thursday in March), you will be able to measure your success and progress as to how well you did with letting go of stuff in your life. Today, as you begin your Letting Go of Stuff® Journey, founder Darren L Johnson is asking that you join us today on Facebook. Enjoy the posts, links, and take a moment to “like” that page. That way, when we announce the details of the 2014 National Letting Go of Stuff Day Cruise, you will not miss out. The proceeds of the cruise will go toward supporting those who have survived domestic violence. Join us on Facebook today – right now – and show your support for this important day and cause. 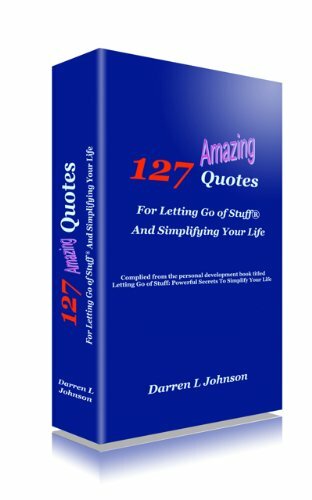 This entry was posted in National Letting Go of Stuff Day and tagged change your life, darren l johnson, Forgiveness, happiness, let go, national days, national letting go of stuff day, news about letting, stress, success, universal spirit, weight loss. Bookmark the permalink.